appreciate it. 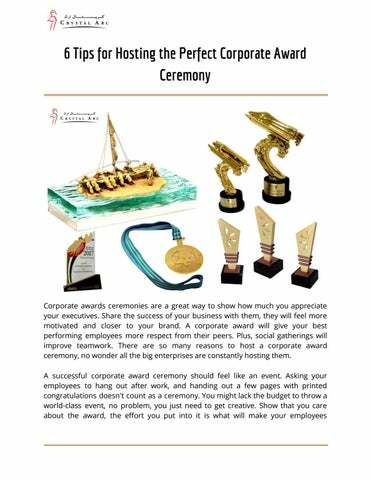 In this article, we'll go over a few tips that will make your corporate award ceremony a success. 1. Choose the Ideal Awards The most important part of any award ceremony are, unsurprisingly, the awards. You need to pick an award that owes your team, in other words, your awards need to be enviable. They should be current and follow the theme of your corporate award ceremony. Ask your executives about materials, kinds, and themes they like best. Let's take a look at the usual choices. 3D models Looking for a unique approach? Originality is important. You can bring any new idea to live with a ​scaled 3D model​. 2. Location matters The second thing you should consider is where to host your ceremony. Hosting it at the office will undermine the general atmosphere, you don't want your corporate award ceremony feeling like any other workday. Try to find a spacious place, preferably with event installations. Having a stage on location will save you a lot of trouble. 3. Make a Grand Entrance You should wait until most of your guests arrive before announcing yourself. Be creative as to how. A grand entrance will grab the attention of everybody, giving you the perfect opportunity to reinforce the goal of the night. 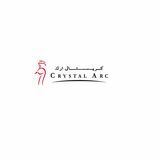 That's time to build up the awards, and graciously remind everybody that your company is behind the event. 4. Plan the Catering Food and refreshments are crucial for a successful corporate award ceremony. Signature cocktails and varied appetizers will ensure all your guests have the right mindset. A good general mood will enhance the effect of your awards. 5. Entertain your Guests The worst threat to your award ceremony is bored guests. You want them to pay attention, to remember your event. Usual approaches to prevent this are live music, professional dancers, and celebrity hosts. Now, if you find this too expensive, you could think about activities for your guest. An open mic won't add to your costs and will be a fun experience.